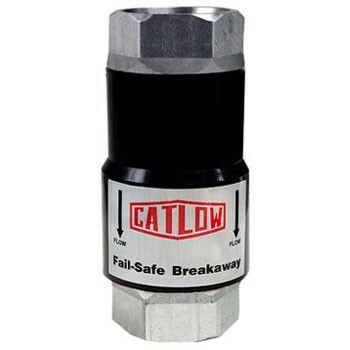 The Catlow C200CV Coaxial Breakaway with Dual Check Valves is designed for use with Stage II Vapor Recovery Coaxial hoses. Completely reconnectable, this breakaway has a 300 lb. breaking force. 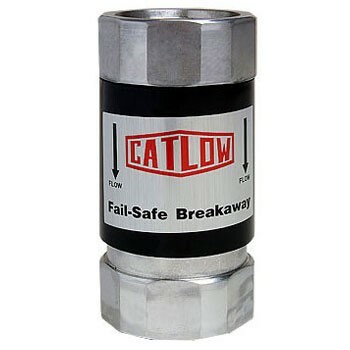 The Catlow C200CVS Fail Safe Balance In-Line Snap-Back Breakaway is designed to protect your expensive vapor recovery equipment during a driveoff. Completely reconnectable, this breakaway has a 300 lb. breaking force. 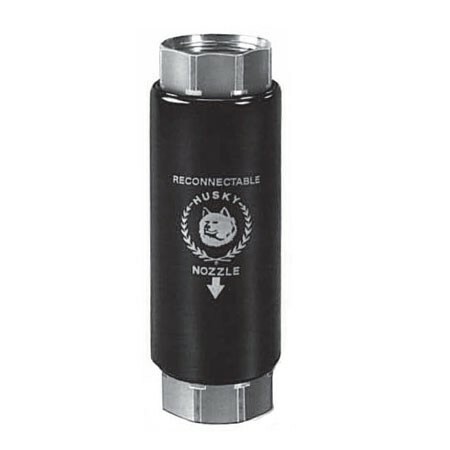 The Husky 3360VR Reconnectable Coaxial Breakaway with Vapor Valve stops fuel flow on both sides of the separation. Designed for Vapor Recovery Balance Systems. Maximum separation pull force of 200 lb. The Husky 5900 Non-reconnectable Coaxial Breakaway with Vapor Valve stops fuel flow on both sides of the separation. Designed for Vapor Recovery Balance Systems. Maximum separation pull force of 250 lb.